As part of annual Grand Fiesta month-long event, the premier integrated entertainment and tourist destination Resorts World Manila (RWM) prepares to go full-on party mode. Dubbed the grandest yuletide celebration in the land, Grand Fiesta culminates with a bang each year via a spectacular New Year celebration to usher in 2016. This year, revelers are in for a treat as RWM hosts The Grand Countdown at the Marriott Grand Ballroom, December 31, 2015, 7 PM, marking the start of a magnificent tradition in one star-studded event. 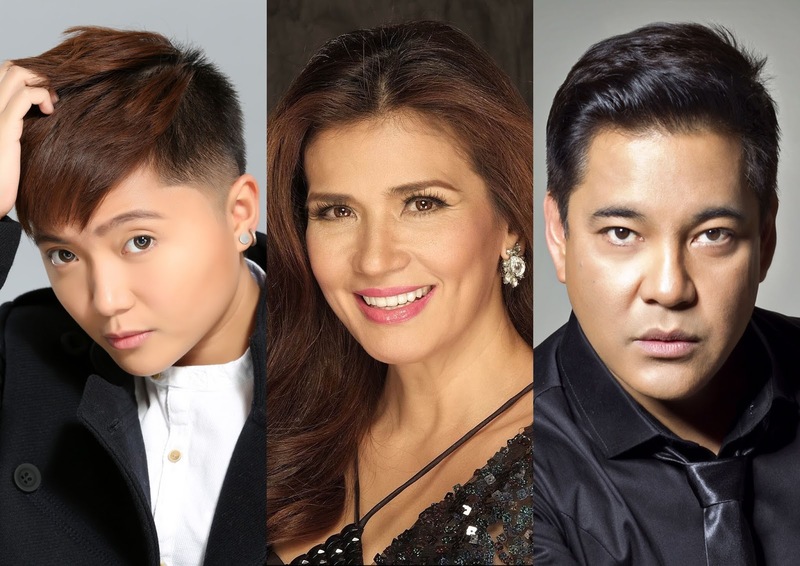 Headlined by three icons of the local music scene, the main event of The Grand Countdown will feature numbers by none other than the Divine Diva Zsa Zsa Padilla, International Pop Star Charice, and Concert King himself Martin Nievera who will belt out their signature hits and more all throughout the evening. Interspersed throughout the program will be a variety of entertainment numbers, such as a comedy suite starring funnyman and Bituing Walang Ningning: The Musical star Jon Santos, performances by Asia’s Got Talent champions El Gamma Penumbra, and a spectacular jaw-dropping performance from Resorts World Manila’s international acrobats, Universo Robots and Mark Mabasa & Friends. Throughout the evening, guests will indulge in a grand spread of only the finest cuisine fit for royalty prepared by Marriott Hotel Manila’s top chefs consisting of a salad bar, seafood specialties, spit roasts, cast iron skillet specialties, and a wide range of main courses and desserts complemented by overflowing wine and liquor while power vocal trio PRIMO serenades them over dinner. As The Grand Countdown is a complete New Year's Eve celebration for the whole family, an activity zone for kids will also be provided where they may participate in fun games or kick back in a movie marathon room. The countdown proper will feature a coordinated presentation by El Gamma Penumbra followed by a waiter’s ‘Baked Alaska Parade’ with sparklers, a Champagne toast with artists, and a skyline video during the countdown to 2016. After ushering in the New Year, guests will be invited to party the night away with live music by Juan Miguel Salvador & the Authority. Don’t miss out on this spectacular New Year celebration. For more information on events and offerings at RWM visit www.rwmanila.com or call the Tourist/Visitor Hotline at (02) 908-8833. Also, home to RWM is NEWPORT Mall which features international luxury brands, state-of-the-art movie theaters at Newport Cinemas, an award-winning, ultra-modern Newport Performing Arts Theater (NPAT), and a cozy, 24/7 entertainment hub at Bar 360. Dine in one of almost 50 restaurant outlets offering a diverse selection of local and world cuisine, prepared by top Filipino and foreign chefs and paired with a wide selection of the finest wines and popular liquors.